A low pressure area over southwest Arabian sea has now concentrated into a depression bringing heavy rains to city since Friday evening. The forecast for Saturday says Generally cloudy sky with possibility of rain or thundershowers. Maximum and minimum temperatures would be around 30 and 20 deg cel respectively. 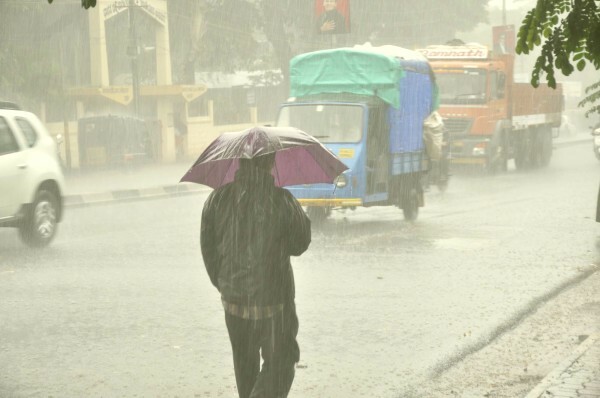 Sunday,Monday, Tuesday could also see some moderate rains. The minimum temperatures have dropped to 19 deg Cel and maximum have dipped to 28.